When the venerable Old Town School of Folk Music opened its new headquarters last fall, few knew the future of folk music was under debate. But the genre that gripped generations in the 1950s and '60s is being reinvented in the '90s. What do we mean now when we talk about folk music? The new Lincoln Square outpost of the 41-year-old school smacked of symbolism. While the neighborhood continues to reflect its German and Swedish roots, in succeeding decades the area has become home to Greeks, Serbs, Bosnians, Koreans, Italians, and Latinos. And this diversity is mirrored in the world of folk music. Traditionally, folk has meant the music of the British Isles, Appalachia, and the southern United States. But record companies use the term to merchandise every middle-of-the-road singer-songwriter from Jewel to Tracy Chapman, just because they play acoustic guitars. The Old Town School's 110-member faculty teaches a range of music classes--from jazz to yodeling to Tahitian drumming. The school also offers courses in 20 different kinds of dance, from Irish step dancing to hip-hop. "We have a pretty broad definition of the term 'folk music,' as people could see if they looked at our catalog," says Jim Hirsch, the school's director for the last 17 years. "That allows us to do a wide range of things." But this willingness to apply the term broadly has riled some traditionalists. With interest in the older songs declining, they say, folk music may be fighting for its soul. Back in the 1960s, Peter Yarrow says, traditionalists used this argument against his group, Peter, Paul, and Mary. "Some people felt that if it was not pure ethnic, traditional music sung in the tradition of that style, it was not folk music," he says. They believed the work of popular performers like Joan Baez and others "was not only not folk music, but it was adulterating or watering down and depriving the music of its strength. So they objected to our singing in our style." Frank Hamilton was among those who held that view. Hamilton, a founder of the Old Town School and a onetime member of the Weavers, says, "Peter, Paul, and Mary are really popular singers. They're not folksingers. Neither is Pete Seeger. Most of what they express is popular music, the chords, the trappings--it's show business, and there's nothing wrong with that. It's great--I enjoy it--but it's not folk music." Michael Smith has never called himself a folksinger, though others have been calling him that for years. Even so, he says he can tell authentic folk music from its pretenders. "One's tried-and-true like real orange juice, and the other's Minute Maid," he says. "There's a real difference between the pop stuff, which is to please the listener, and the stuff that comes from the soul. "When one first encounters folk music, it's the phenomenon. It's 'Greensleeves'--how beautiful the music is or how beautiful the words are--or 'Western Wind,' one of the oldest songs in the Western tradition of the Child ballads, first sung in the 1300s. When you first encounter it, you're just so caught up in this cry down through the centuries. And I think that's the folk music experience. It's esoteric and exciting and romantic....'Western Wind' will be a great song when I'm dust....It's the sifting of centuries." Hamilton says he was "really in love with folk music" when he and Win Stracke started the Old Town School in December 1957. Stracke was a singer and songwriter with a following from television and radio gigs, but he wanted to improve his guitar technique. A mutual friend, Dawn Greening, suggested that he take lessons from Hamilton in her dining room, and they soon set up the school to teach others, at 333 W. North. "At the time Win and I had talked this over, we were imbued with kind of an ideal," Hamilton says. "We had talked about a place where people could congregate, coming from diverse backgrounds with a common denominator of learning music through the vehicle of folk music. We had agreed that most music schools were fairly conservative in their approach and were more involved in weeding students out rather than pulling them in. So we wanted to have a situation at the Old Town School where people could own music, and folk music was the perfect vehicle because that's music by people." The surge of interest in folk music helped the school through its early years. So did concerts by the likes of Pete Seeger, Mahalia Jackson, and Big Bill Broonzy. 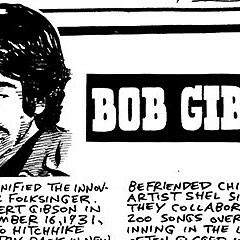 In the first five years more than 150 students studied guitar and banjo--including folk and rock stalwarts Bob Gibson, Bonnie Koloc, John Prine, Steve Goodman, and Roger McGuinn. By 1968 the school had moved to 909 W. Armitage, and during the early 70s its concert schedule expanded, private lessons were added on a variety of instruments, and satellite locations were opened. In 1975 the school had more than 650 students. That's when Michael Smith first came to Chicago. "I was struck by the fact that these folks were sincerely waist deep in folk music, and up to that point I hadn't encountered such a deep and sincere place." But the good times didn't last. Concert attendance and enrollment dropped as folk music became a marginal presence, no longer on the pop-music charts. When longtime guitar teacher Jim Hirsch took over in 1982, the Old Town School was facing bankruptcy. Hirsch focused on fund-raising, cost cutting, and reorganizing management. The school began to redefine its mission and embrace the inclusiveness that might now be labeled multiculturalism. Hirsch says the new approach was "totally inspired by" the need to diversify students and audiences. When he saw predictions for explosive growth in black and Latino populations--and realized that only 2 percent of the school's audience came from nonwhite backgrounds--he knew the school had to move away from its "Eurocentric" approach. "To me there are two issues here," he says. "There was the artistic importance of not turning our back on this motherlode of talent, and then there was the business imperative of 'I need these people as my customers.' It was good politics, and it was good business." Course enrollment has exploded--from 175 in 1982 to 3,500 per term--which necessitated the addition of the Lincoln Square facility. Children make up a full third of all students. The Armitage building has now been dedicated solely to children's classes, proof of the extraordinary profitability of such programs. But some fear this success has led to segregation. "I think it's based on a false premise--that there are songs for kids and songs for adults," says Smith. "Music is universal. 'The Farmer in the Dell' has always been a dumb song. Every time I heard a kids' record it was inconsequential, dopey, and a refuge for people who aren't talented. I'd much rather listen to Frankie Laine--now that's fun." But the "Disneyfication" of kiddie music that concerns Smith also has attracted families. Concerts draw 30,000 people to the Old Town School each year, and nearly a quarter of those who attend are nonwhites. "We've changed, and I believe that organizations that don't change cease to be relevant," says Hirsch. "You know it's not the 1960s anymore." Peter Yarrow says this expanding definition of folk music is both appropriate and inevitable. "If you know anything about folk music, you know it changes. That's the folk process." Hamilton, now 64, recognizes that times have changed, but he still laments the breakdown in what was once a thriving--and more strictly defined--folk community. "Folk music has become a spectator sport," he says. "People have become very record-oriented. When you have records, you don't want to do it yourself." Folk music also fell victim to its own trendiness. "It just became a marketable item, more image and style than substance," Hamilton says. "It no longer seems relevant." Perhaps our definition of folk music had to change because we no longer live in a traditional society--in a multicultural world, everything merges. But Smith says some folk musicians are hurt by the expanded definition. "Eclecticism gets in your way if you want to be a great artist," he says. First and foremost, the Old Town School remains dedicated to its original mission. "If you want an introduction to folk music, it's still the place to go," Smith says. "It's a place where you learn to play songs on the guitar or the banjo--but primarily the guitar because the guitar is the national instrument of the USA--and the songs you learn are cooler than the songs you would play anywhere else because the songs they have amassed are cooler than anywhere else. "That's why they call it the Old Town School of Folk Music instead of the Old Town School of Songwriters Who Write Songs That Sound Like Folk Music." "It's about community," says Hamilton. "There's a historical aspect to it--it has a presence that goes back generations." He likes to perform in schools "because kids need an alternative to the boom box, and we're planting the seeds. We say, 'Here's some music your granddaddy played, and it's valid.'" Still, Hamilton objects to words like "pure" or "purist," finding them not only inaccurate but redolent of racism. He knows folk music changes and believes the school he cofounded will do well "by just continuing along its path," becoming "a laboratory where you're exploring the richness of our heritage rather than just a museum to keep certain kinds of music alive." "Folk music goes on, but it goes on in subtle ways," explains Hamilton. He sees movements like rap and break dancing as folk expressions. And rap didn't spring out of the concrete--its roots go back at least as far as toasting, the urban street poetry that made Muhammad Ali float like a butterfly. Hamilton says rap's roots probably go back farther than that, all the way to the African griot tradition. "Folk music really just lives," he says. "You really don't have any control over it. It just happens as long as there are communities. Under the sidewalk there's always a vine or something growing that's going to come up and make itself apparent through the cracks. And that's the way it is with folk music. We may not always know it's there, but it will go on."